A tally of 200 club goals in 468 matches and 40 strikes in 79 Netherlands caps proves Patrick Kluivert knows plenty about the art of finishing. As a teenager, he smashed in 18 times during 25 matches in his startling debut Eredivisie campaign as Ajax claimed the 1994/95 top-flight title without losing a match. This prodigious eye for goal would go down in folklore that May when he came off the substitutes’ bench to net the winner against AC Milan in the Champions League final. Senses dulled during one disappointing season with the Rossoneri in 1997/98 would come startlingly back to life at Barcelona. From 1998-2004, the imposing Kluivert used his mixture of technical prowess and physical gifts to terrorise defences across the globe. 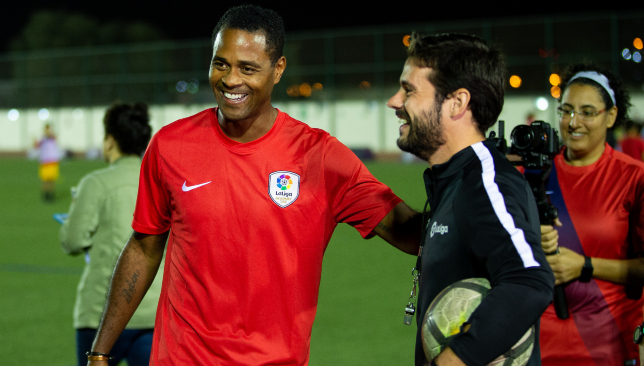 Speaking to Sport360° at a La Liga event in Dubai, the now 42-year-old provided a rare insight into what it takes to thrive up front at the highest echelons of the sport. He says: “It 70-per-cent natural, and then there is a little bit in the last 30 per cent that you can learn. For the Oranje, Kluivert was their all-time top scorer from 2003-13 until overtaken by Klaas-Jan Huntelaar and Robin van Persie. His five-goal tally – partly – on home soil at Euro 2000 was enough to earn the Golden Boot. The Amsterdam-native possessed talent in abundance. Few players with a 6ft2in frame could move with his grace and speed. He could either beat a defender with a quick-fire step over, or simply dominate them in the air. 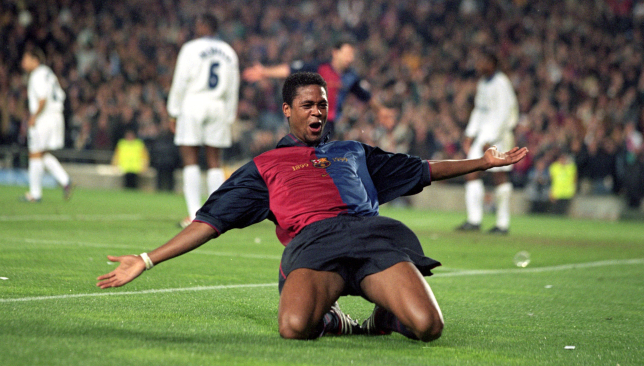 From a trademark bullet header to level late on in World Cup 1998’s epic semi-final, eventually lost on penalties against Brazil, to a nonchalant back-heeled finish in a one-on-one against Mallorca, Kluivert had it all. This prowess earned an exalted reputation which has followed him ever since spells at Newcastle United, Valencia, PSV Eindhoven and Lille presaged the iconic striker’s retirement in 2008. What are the attributes of a master finisher? In Portugal’s Cristiano Ronaldo and Argentina’s Lionel Messi, the modern game boasts arguably the sport’s greatest-ever finishers. Also at Camp Nou, Uruguay’s Luis Suarez continues to rattle in goals. Elsewhere, Poland’s Robert Lewandowski cannot stop netting. “Kylian Mbappe,” is his answer. 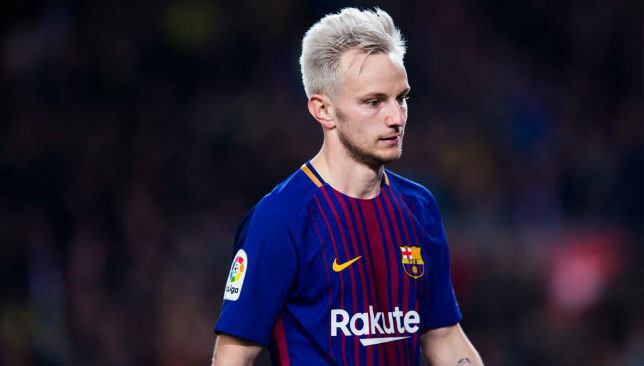 Barcelona midfielder Ivan Rakitic’s uncertain future at the club took another turn on Monday as the Croatian’s agent ruled out the possibility of a summer exit. Rakitic’s contract with the Catalan club runs until the summer of 2021, but the midfielder has been pushing for a renewal for a while now. Last summer, French giants Paris Saint-Germain were interested in the World Cup finalist, but he decided to stay at Barcelona. Rakitic has now established himself as one of the key players under Ernesto Valverde once again, but the arrival of Dutch sensation Frenkie de Jong in the summer will threaten his starting spot. With rumours of a possible move to PSG in the summer making the rounds, the transfer saga has took another twist, as Rakitic’s representative Arturo Canales told the Italian press that the Croatian will not be moving in the summer. “It is an impossible scenario to see Ivan leaving Spain in the summer,” he told La Gazzetta dello Sport, as cited by Marca. Inter have also shown interest in the Croatian and could challenge PSG in the scenario that the Rakitic decides to move. 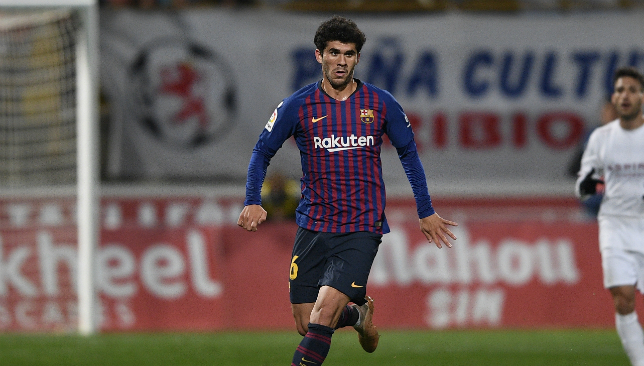 Barcelona youngster Carles Alena was handed a start against Valencia, but was taken off in the 66th minute to accommodate Arthur. The midfielder displayed a promising performance and is not the one to be bothered about being substituted. Alena is happy with the chances he is receiving and hopes to make the most out of it. “I’m not surprised I was substituted and I’m happy with the chances the coach has given me,” he said afterwards, according to Marca. “It’s the coach’s decision and I’m happy every single time I step onto the pitch. “I feel very comfortable and I know this team better, I think the group played a great game. “I felt very comfortable, but for me it’s not important how I play if the team doesn’t win. “At the beginning we were a little bit asleep, but the attitude of the group was perfect.